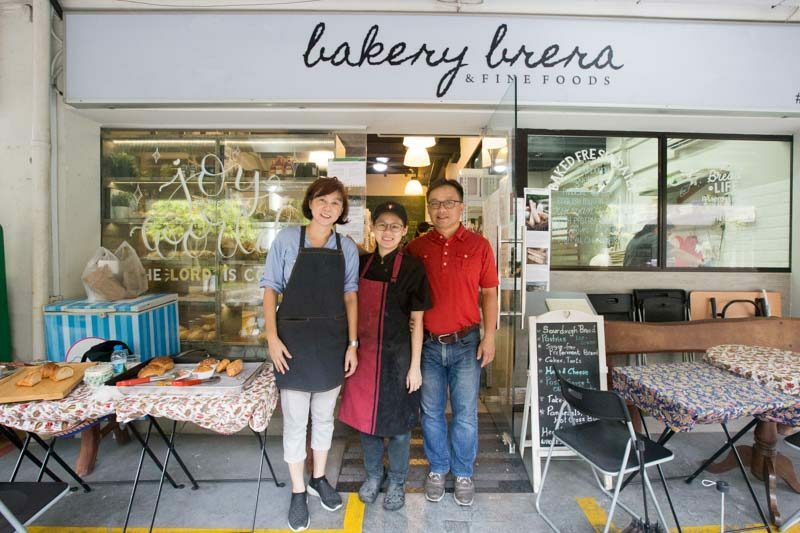 Bakery Brera & Fine Foods is perhaps the epitome of a hidden gem, a charming bakery tucked away under in the quiet estate of Empress Mall. You wouldn’t know that this quaint little bakery actually supplies bread to restaurants like The Kitchen By Wolfgang Puck. I know, impressive right? As you walk up to the bakery you will be greeted by the unmistakable aroma of freshly baked bread. While Bakery Brera & Fine Foods is more of a takeaway joint, there are a few small tables in front of the bakery if you feel like savouring these baked goods right there and then. Don’t be fooled by the size of Bakery Brera & Fine Foods, this modest bakery sure bakes up a storm. From the Traditional Baguette (S$3.80, 280g) to Ciabatta (S$3.80, 250g) to Pain Au Levain (S$4.80, 250g / S$8, 420g / S$18, 1500g). While I would love to eat my weight in bread, the lovely owners Thrina and Jacky have also prepared a smorgasbord of pastries for me to try. I only have so much stomach space, ’tis sad but true. We begin with a classic, the Traditional Baguette. 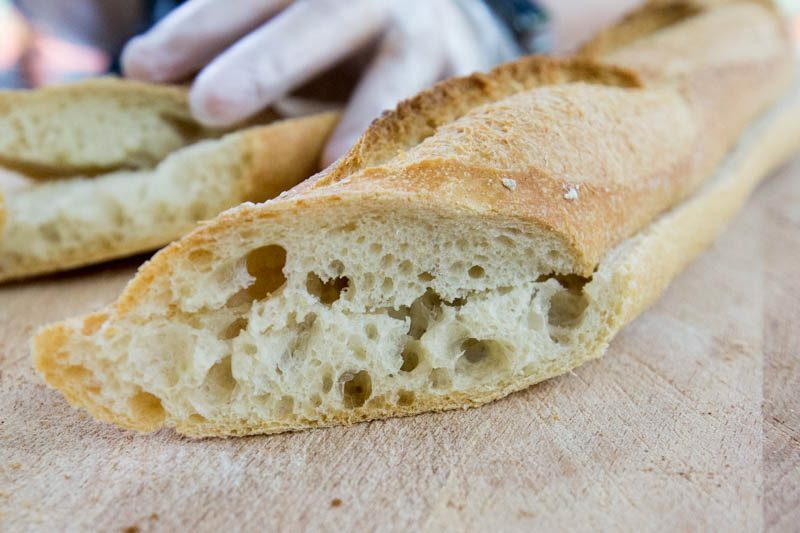 When it comes to French baguette what you want to look out for is a good crust and a pillowy, springy interior. 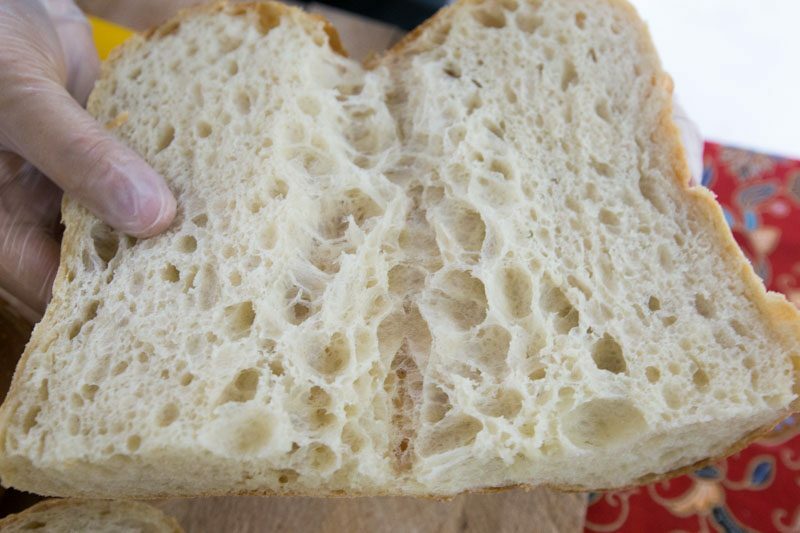 Can we just take a second to appreciate the beautiful crumb pattern? Bakery Brera & Fine Foods proofs all their bread dough for a whopping 16 hours, notice how wonderfully aerated the dough is. The longer bread dough is allowed to rise, the more time the yeast has to ‘chomp’ down on those sugars and produce more bubbles of carbon dioxide. Basically, that’s how bread gets its intoxicating aroma and characteristic taste. 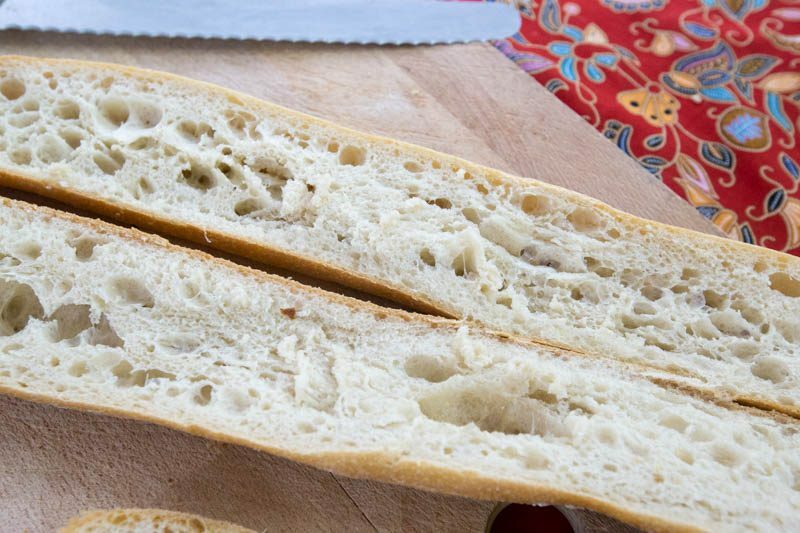 For Bakery Brera & Fine Foods, their French baguette delivered on all counts. The crust had a good bite without being too hard. The centre was soft and elastic with a subtle tang. It certainly puts a Singaporean favourite French brand to shame. With some good quality beurre and fromage, who needs to go to Paris? Up next, the Ciabatta, which means slipper or loafer in Italian as it is known for its porous interior and flat appearance. A personal favourite of mine, I like how the Ciabatta is chewy and light, making it a great sandwich bread. Thrina proudly displays the cross-section of the Ciabatta loaf and it’s a wonderful sight to behold. She even ‘squashed’ the bread as a test of its elasticity, which springs back like expensive memory foam. 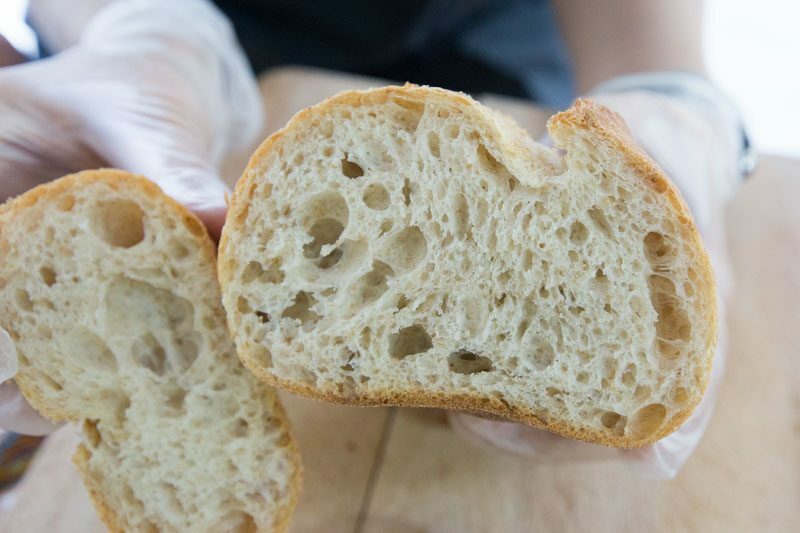 There is a delicate quality to Bakery Brera’s Ciabatta which I appreciate. Quite delicious on its own and even better with some ham or for soaking up a bowl of hearty soup. Sourdough is an ancient bread with its distinct sour and tangy taste. Chewy and perhaps the tastiest out of all the pieces of bread I have eaten, this one is a winner. Thrina mentioned that one of her motivations in starting this bakery was to feed the community around her. 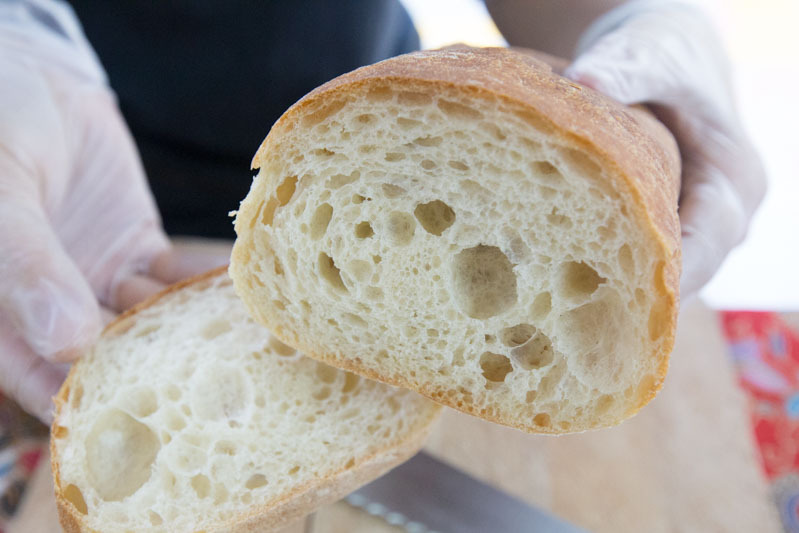 Sourdough contains way less sugar than most commercially available white bread, making this carbohydrate a suitable option for the health-conscious or people with medical conditions, such as diabetes who have to watch their sugar intake. Remember the pastries I mentioned earlier? Here is the glorious tray. I know, I was a lucky girl that day. 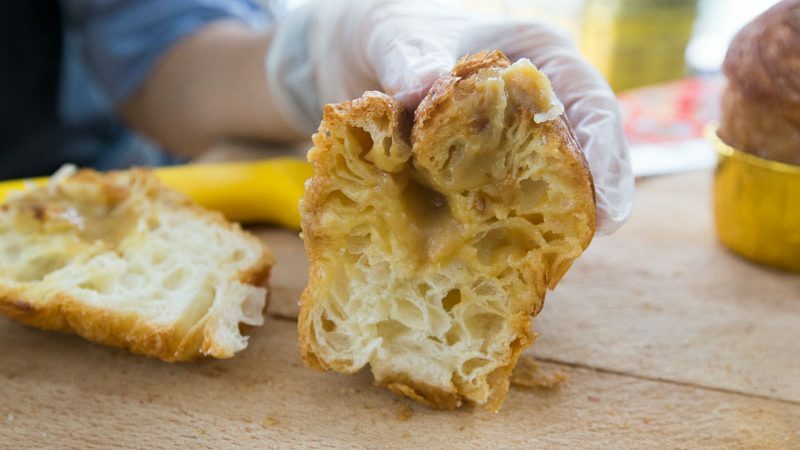 The pastry that put Bakery Brera & Fine Foods on the road to Instagram stardom: the ever delicious and flaky cruffin. 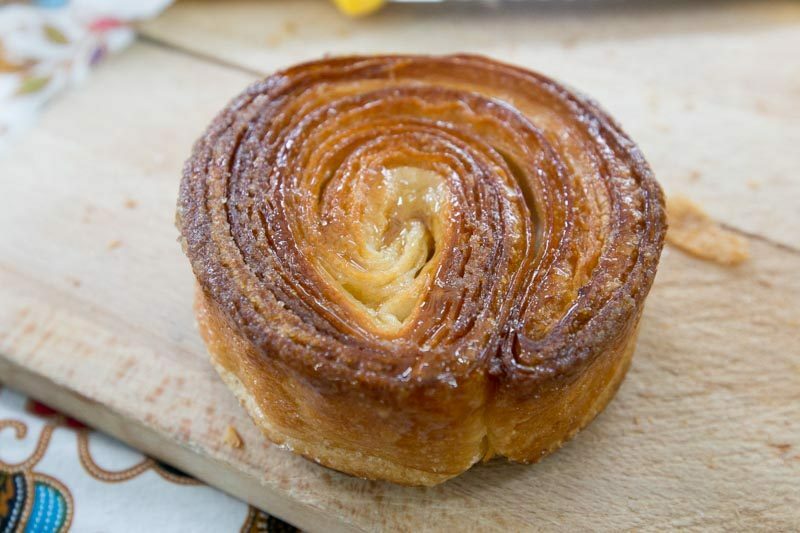 Quite simply, a cruffin is a croissant twirled into the shape of a muffin. 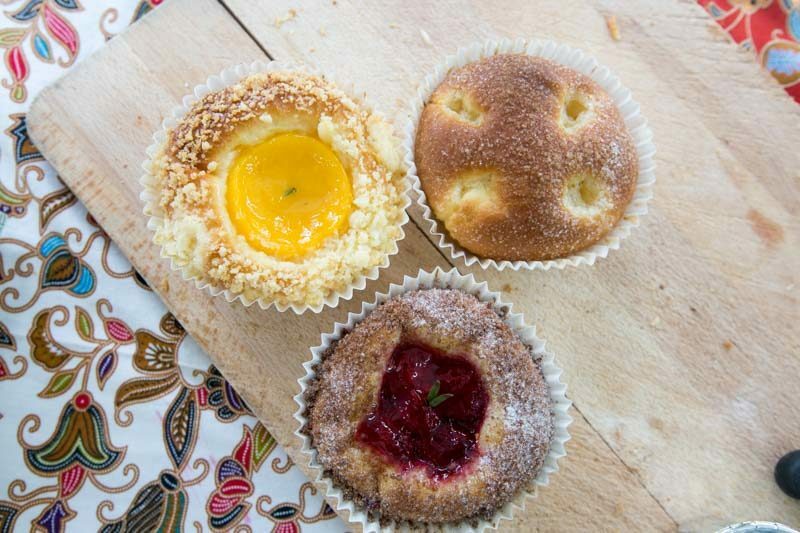 These delightful pastries are then pumped with either a sweet or savoury filling. We have the whole family pictured here, Nutty Salted Caramel Cruffin(S$4.50), Peanut Butter Cruffin (S$4.50), Chocolate Cruffin (S$4.50), Lemon Curd Cruffin (S$4.50) and newest addition Kaya Cruffin (S$4.50). While I could wax lyrical about all these cruffins, I’ll spare you the bad poetry and just tell you about my favourite, the Kaya Cruffin. Filled with fragrant homemade coconut jam and topped with shredded coconut, it’s near perfection when eaten with those crispy silky buttery layers. A toothsome mouthful and breakfast companion. 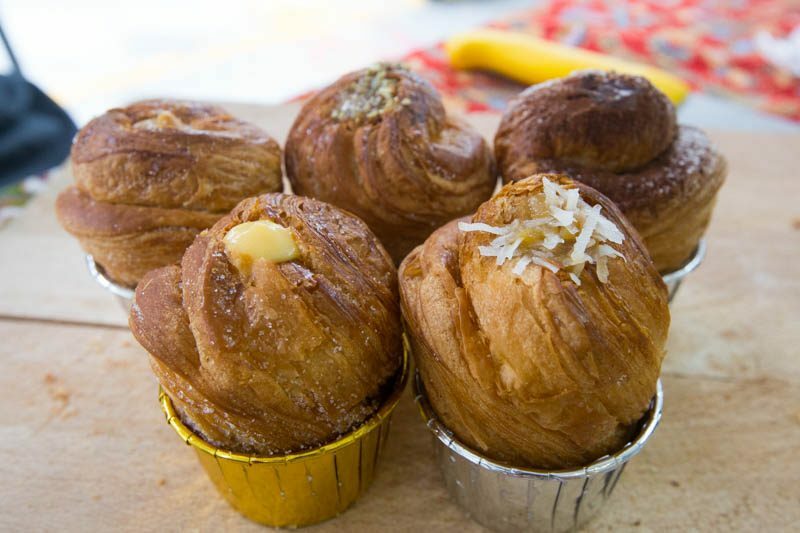 Not a just a pretty face, these cruffins sell like hot cakes so do get there early to avoid disappointment. Still riding that flaky pastry train, we arrive at the Kougin-aman (S$4). No stranger to this popular pastry, I couldn’t wait to sink my teeth into this treacly treat. Sweet, sticky and downright sinful. I loved every bite. The buttery layers were rich and flaky, the caramelised sugar giving a sweet crunch making this one addictive mouthful. This is definitely for the sweet tooths out there. 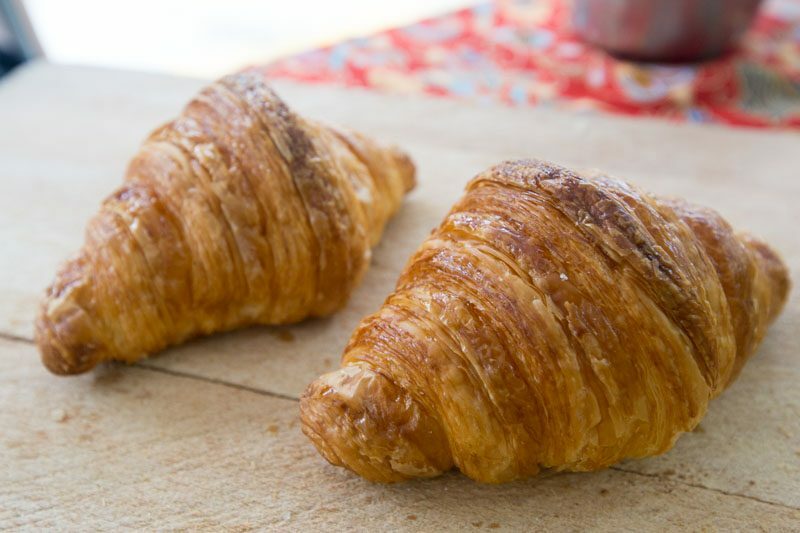 Continuing down this flaky pastry road we hit the OG flaky pastry the Croissant (S$3). 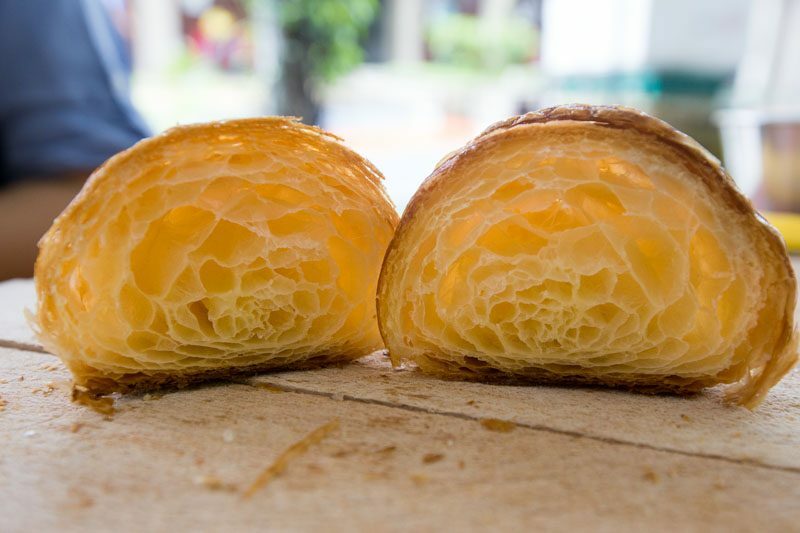 Dubbed one of the best croissants in Singapore, I had to taste it to believe it. There’s nothing like a buttery, flaky croissant this one was certainly a charmer. The impressive layering of butter and pastry showcases Bakery Brera & Fine Foods’ prowess with baked goods. A tiny, tiny gripe is that I would have liked my croissant a little more buttery, but hey nothing I can’t add myself. 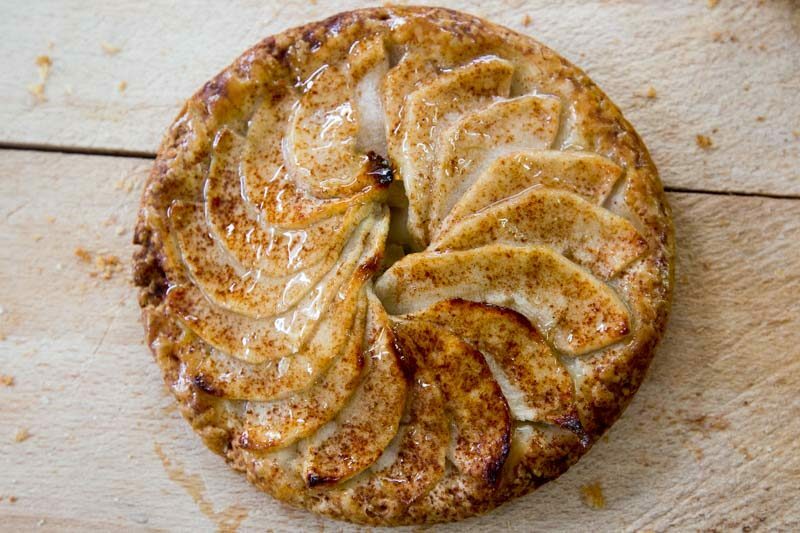 A sweet and delicate pastry, the Apple Galette (S$4.80) consists of apple slivers meticulously arranged in a circle. The dusting of cinnamon paired well with the apple slices. This pastry might be a little underwhelming when cold. However, a couple minutes in the toaster oven and a dollop of vanilla ice cream and you have a sublime brunch dessert. Are you still with me? Don’t sink into a sugar coma just yet. 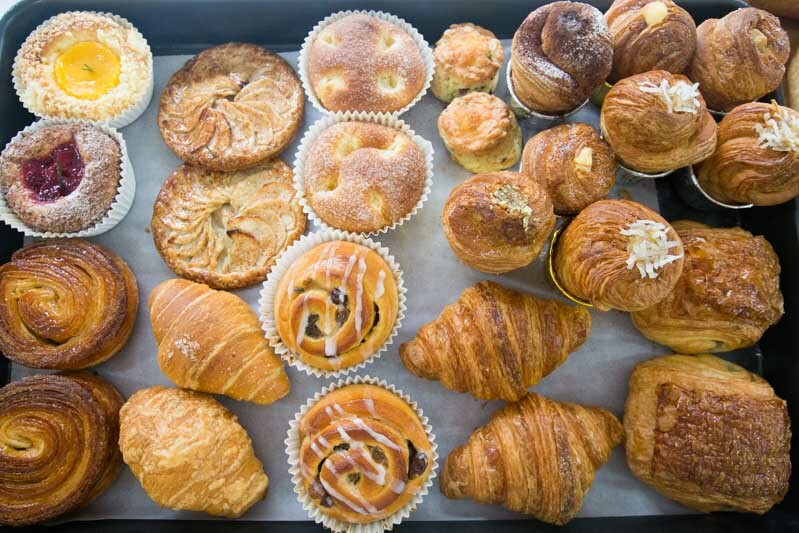 Another set of pastries in Bakery Brera & Fine Foods you can’t miss are the Brioches. There are fruity options, such as Lemon Curd Brioche Crumble Tart (S$3) and Chocolate Raspberry Brioche Crumble Tart (S$3). 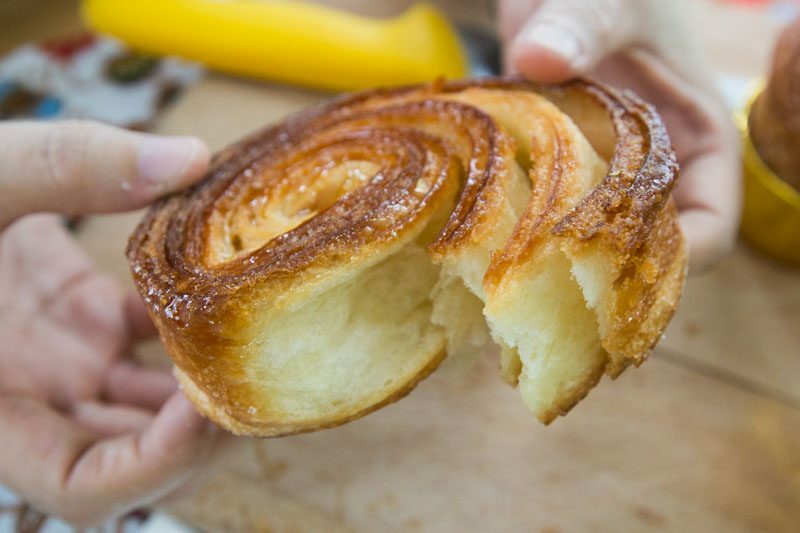 Or the good’ ole Butter Sugar Brioche (S$2.50) to keep things simple. Fluffy and eggy, these little darlings were ever so delightful. 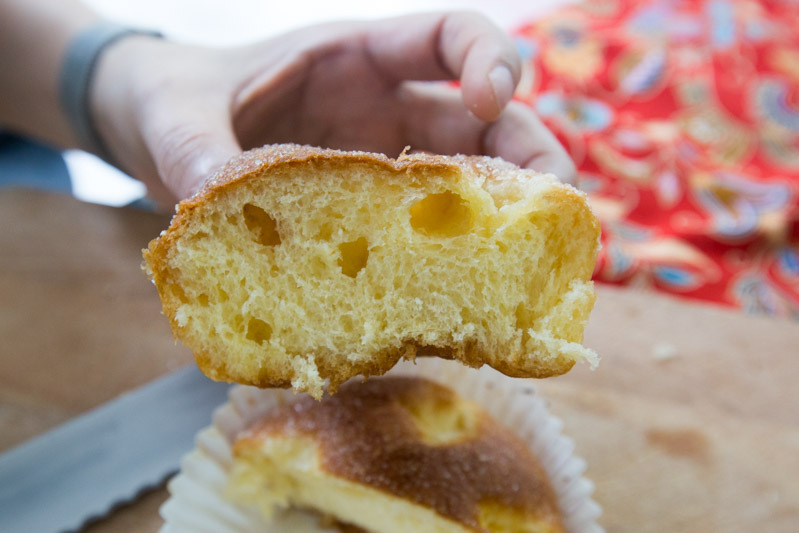 I had the Butter Sugar Brioche being the purist that I am. Let me tell you, this was sugary, airy and oh-so-comforting. I barely scratched the surface with Bakery Brera & Fine Foods’ many confections and I have lots more to share. There were certainly some pastries that can be slightly tweaked for more oomph. Other than that, you can rest assured that their pastries are top notch. While there is no shortage of bakeries in Singapore, I have yet to come across one that rivals the many patisseries and bakeries in Europe. 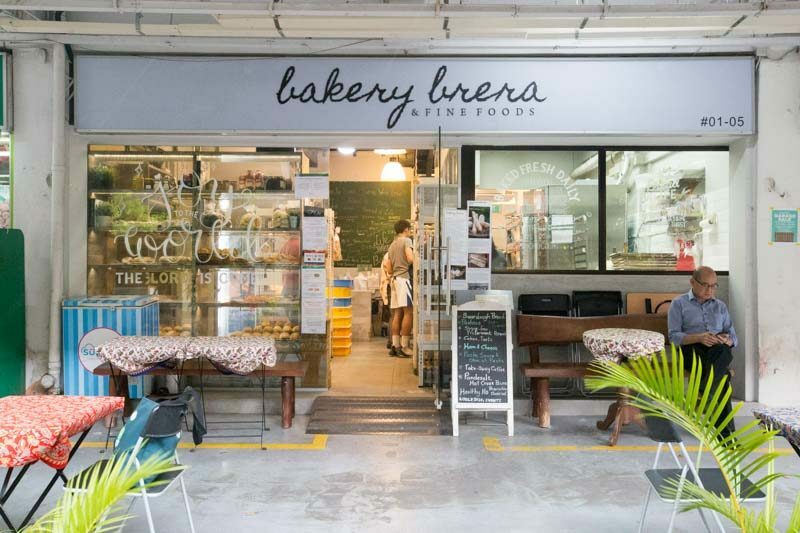 Much less one under an HDB, Bakery Brera & Fine Foods comes close and if you are looking for authentic French baked goods this is the place to be.